Sophomores in high school may take the Preliminary SAT/National Merit Scholarship Qualifying Test, commonly referred to as the PSAT test. As the name suggests, this is a test designed to measure the same sorts of skills as, and prepare students for, the SAT test which is given to high school juniors. Everyone who has a chance to take the PSAT test should certainly take advantage of it. 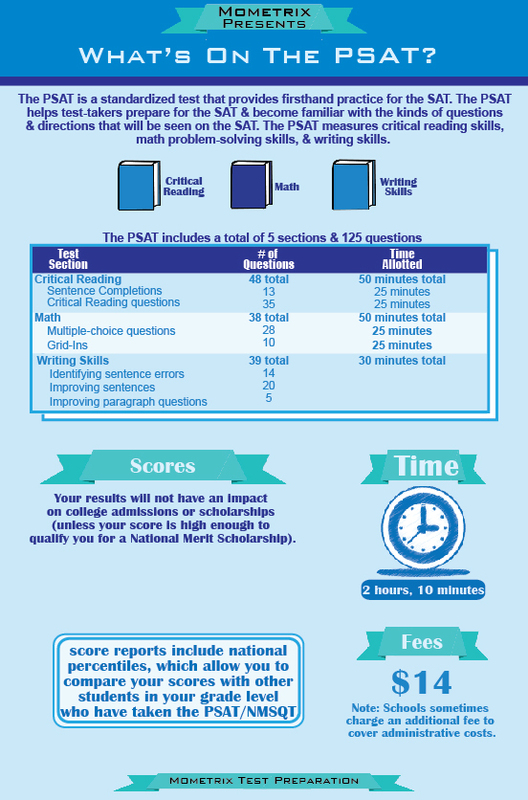 Not only does it give your valuable practice for the SAT, by revealing what areas you may need to work on, but if you do well, you can also qualify for some of the millions of dollars of scholarship money from the National Merit Scholarship competition. The PSAT test is a challenging test, which is mostly multiple choice. There is no essay required, and you’re allowed to bring a calculator. The test takes a little over two hours, and covers three areas: Critical Reading is 48 questions which are focused on both critical reading skills and sentence completion exercises. Math contains 28 multiple choice and 10 grid in questions testing your skills in basic math, algebra, geometry, data analysis, measurement, and statistics and probability. Writing Skills is 39 questions looking for your skills at identifying errors in written materials, and your skill at improving both sentences and paragraphs. The nice thing about the PSAT test is that there’s not the tremendous pressure to do well as there is on the real SAT or the ACT. You should still strive to do as well as possible, for the practice, and for the chance at scholarship money, and for personal satisfaction. There are way to improve your chances of doing well on the PSAT test, and many students have taken advantage of study guides to sharpen their skills. You can also study with friends, and take practice questions online. Do your best-it can have big payoffs down the road. 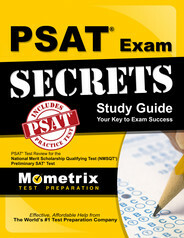 StudyGuideZone.com offers an exclusive free, downloadable PSAT study guide to the Internet community for the PSAT test. The guide is in PDF format, so you’ll need Adobe’s free Reader (already installed on most computers) to view it. Anyone is free to link to this page or the study guide on our server to let students know about this resource. Great PSAT Test Prep Tips! Ace the PSAT test using our PSAT exam study guide with practice questions. 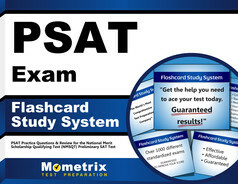 Quickly Solve Difficult PSAT Test Questions with the PSAT Flashcard Study System.